LOVELIES. I have just fulfilled something on my blogging bucket list. Thank you, Courtney, thank you. 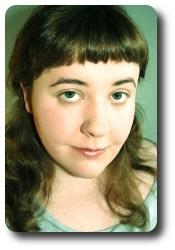 It's one of the hugest honours ever to post my own interview with one of my absolute favourite authors, Courtney Summers (of Canada! huzzah! 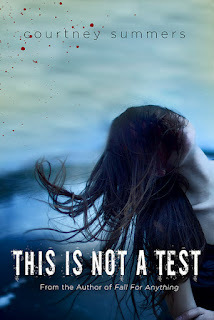 ), as part of Raincoast Books' Canadian tour for her latest novel This is Not a Test (released today!! Congrats!). This is Not a Test is one of my favourite reads of the year (read my review) and I hope you enjoy the interview! 1. In This is Not a Test, the characters don't really know the circumstances of the 'outside world' (ie: zombie apocalypse and the whole world spinning out of control… or is it?). When you were writing the novel, were you very aware of what and how things had escalated and what was happening to the world, or were you more concentrated on Sloane's story? I know the whys of my zombie outbreak and I have a pretty clear idea of what's going on in Cortege, and beyond. I won't say more than that at this point, though. :) Due to the character-driven nature of the story and because Sloane et al are extremely isolated during the duration of it, the most they can do is guess at what's going on. I felt it wouldn't have been realistic for them to know what I know. 2. You've continuously dealt with dark, painful matters. In my opinion, I feel your last two books have been particularly angsty. There's so much grief in Fall for Anything and pain in This is Not a Test; did you find this progression to write more emotionally heavy stories a natural transition as a novelist, or did you set out to tackle these themes deliberately? 3. I remember you mentioning that the name Regina, from Some Girls Are, was partially influenced by Regina Spektor (love her!). Sloane's such an uncommon name, was it inspired by anything or anyone? Regina Spektor is awesome! Totally part of the reason why I loved the name. Sloane's name wasn't inspired by anyone or anything. It sort of popped into my head and I just felt it was perfect for her, it clicked. It fits her personality, I think. 4. I've read and loved (and questioned your evil-ness) in every single one of your books, and I feel like they all feel complete yet open-ended in a way. However, I have to know: have you ever considered writing a sequel or companion novel? Are there any side characters scratching at your brain, demanding their story be told? 5. Lastly, I'm sure you're going to be asked plenty of "there's a zombie apocalypse, what do you do"-esque questions, but I can't resist. There's a zombie apocalypse! Which celebrity would you want to team up with to survive? Ooh, I would totally team up with Ed Begley Jr. I have no idea if he would be useful in a zombie apocalypse or if he would help me survive but if it is my only opportunity to meet him, I'll take it! Thank you so much for having me on your blog, Audrey! AWESOME interview. I already have a copy of TINAT pre-ordered because I had to have a copy, and gosh, that book was amazing. Loved the questions, they were all very thoughtful and I have to say, I'm still curious about the zombie-ridden world that Sloane lives in... the thought of some sort of companion novel kills me, but at the same time I like the complete/incomplete feeling of a standalone. Argh! I really want to read one of her book. So cool that Regina's name was somewhat inspired by Regina Spektor. It's not a name you see used in books too often...I'm so looking forward to reading TINAT! I've heard it's amazing. have wanted to interview her forever. i'm kind of living it through you so i'm good for now. talk about awesome. THANK YOU for not using Rafflecopter! It confuses me so much I won't even enter contests that use it. So I had this nice comment all typed up for you, but then Blogger ATE IT!!! Lol. Anyways, what I was saying is that Courtney Summers is one of those authors that I've always wanted to read (at least, since I first heard of her), but that I've just never gotten around to. Hopefully that will change in the near future! Haha, great interview! I haven't read a book by Courtney Summers yet, but I've got them on my list. I'm not into zombies, but this is one book I'm really excited to read!! 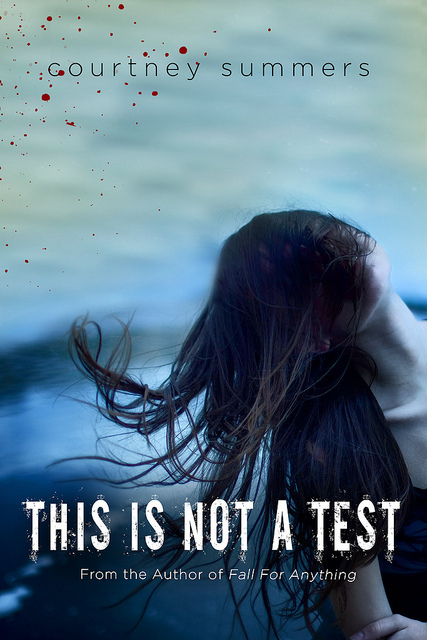 This Is Not a Test is an absolute must read for fans of zombie stories with a bit more depth, contemporary young adult fiction with a darker edge, and for readers who are simply looking for a brilliantly written, character-driven story of just what people will be willing to do to survive when the world falls down around them.